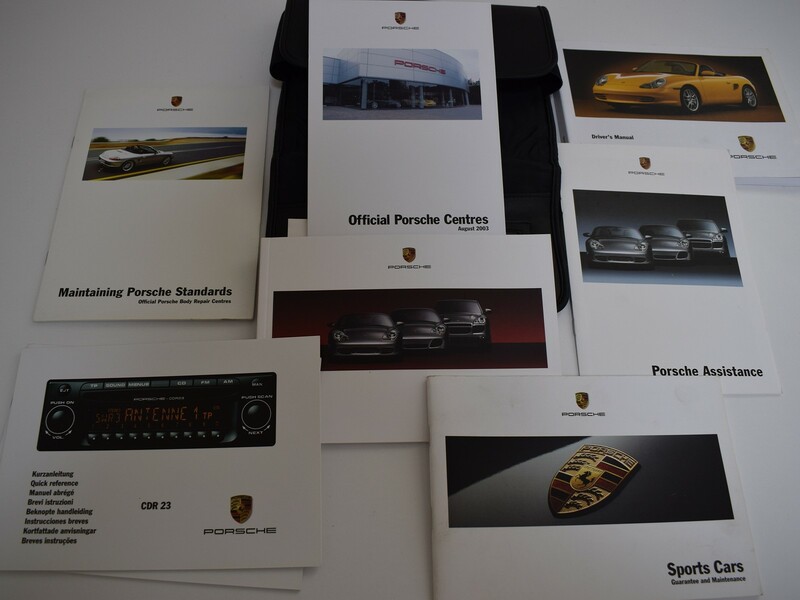 By the early 90’s, Porsche were struggling with ageing designs and slow sales of all models except the 911. 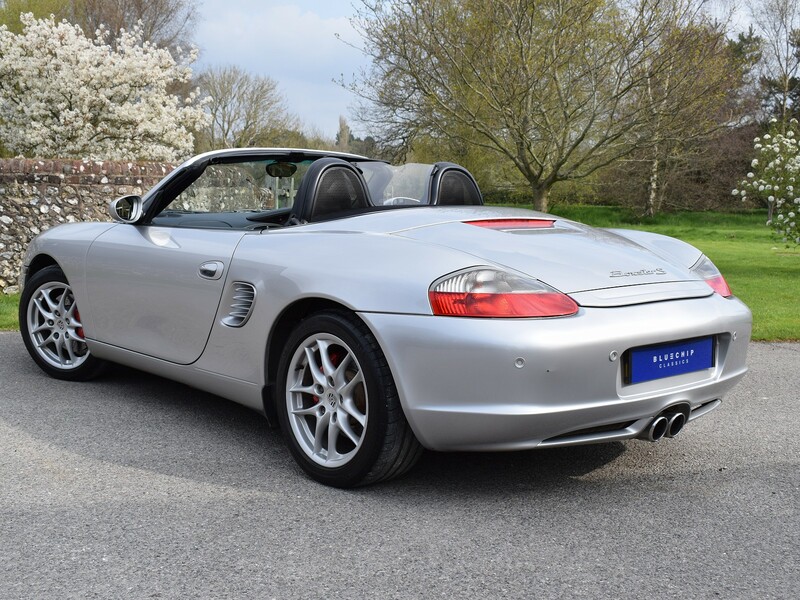 The introduction of the Boxster in 1996 is credited with turning Porsche’s fortunes and the model has been massively successful for over 20 years now. 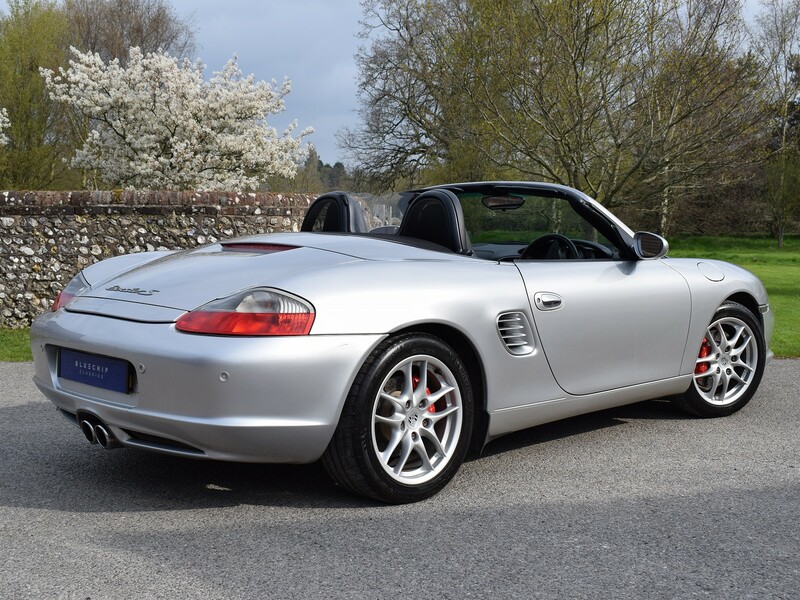 Initially offered with a 2.5 flat 6, mid mounted engine, the Boxster drew widespread plaudits for its accessible performance and neutral handling. 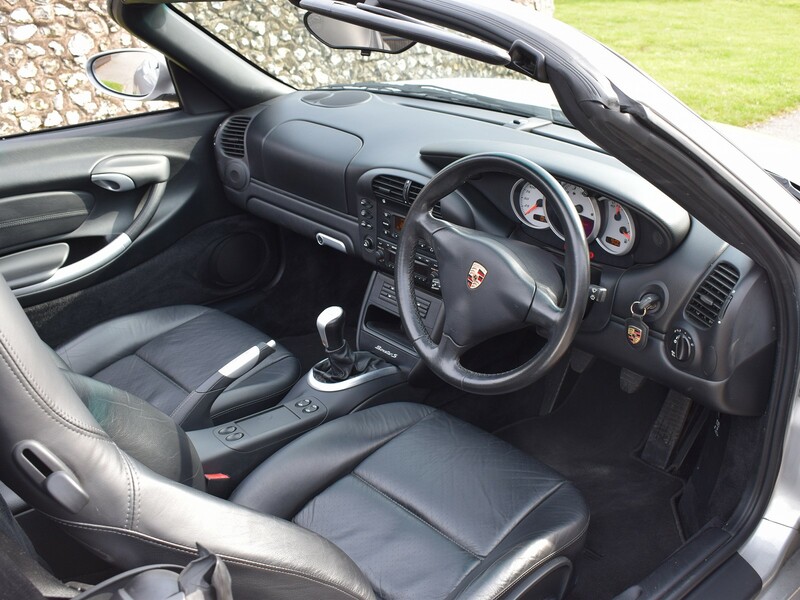 Whilst being the entry level model in the range, this was always a proper Porsche, with many components shared with the 996 that followed shortly afterwards. 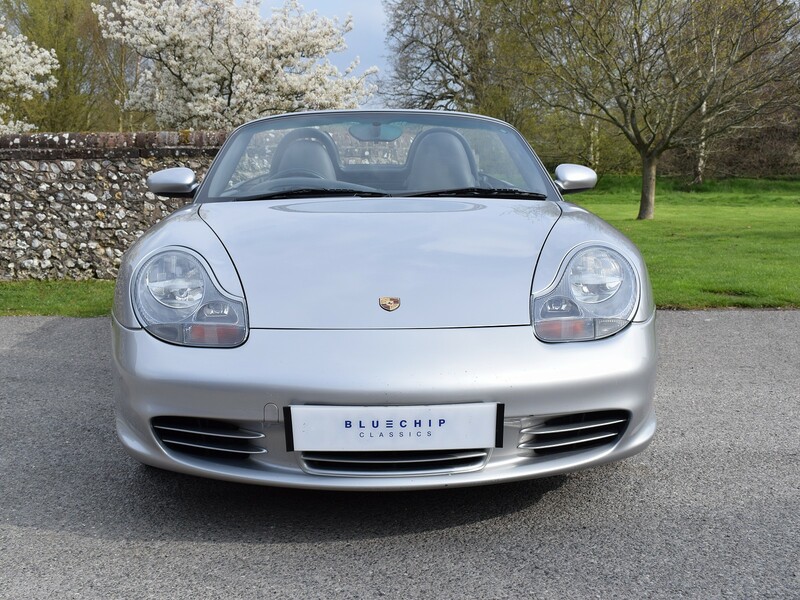 2000 saw the introduction of the 3.2 ‘S’ model which gave vastly improved performance and started to blur the lines between the Boxster and 911. 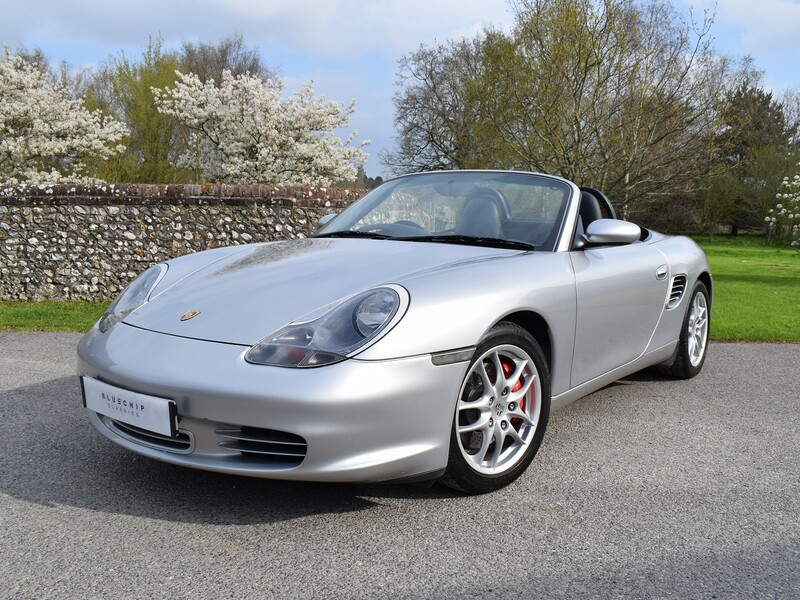 This example is a late model (2004) 3.2 S with a 6 speed manual gearbox, finished in the classic Porsche combination of Silver with black leather interior. 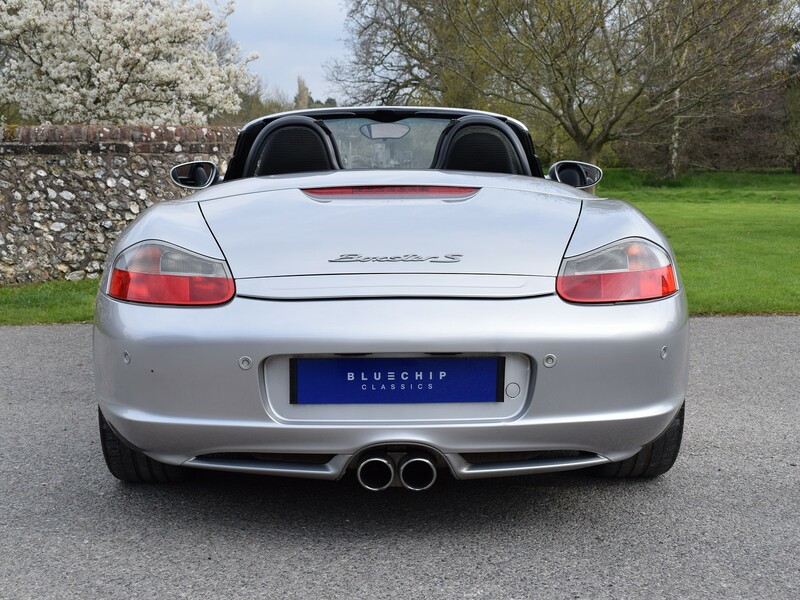 What sets this car apart is that it has only had one local owner from new, having been purchased at Mid Sussex Porsche shortly after they opened their showroom in Burgess Hill. Mr D had not necessarily intended to buy an S, but once he had ticked so many options on the 2.7 model, the Sales Advisor was quick to highlight that the S had most of these options as standard along with the improved performance, so the deal was done. 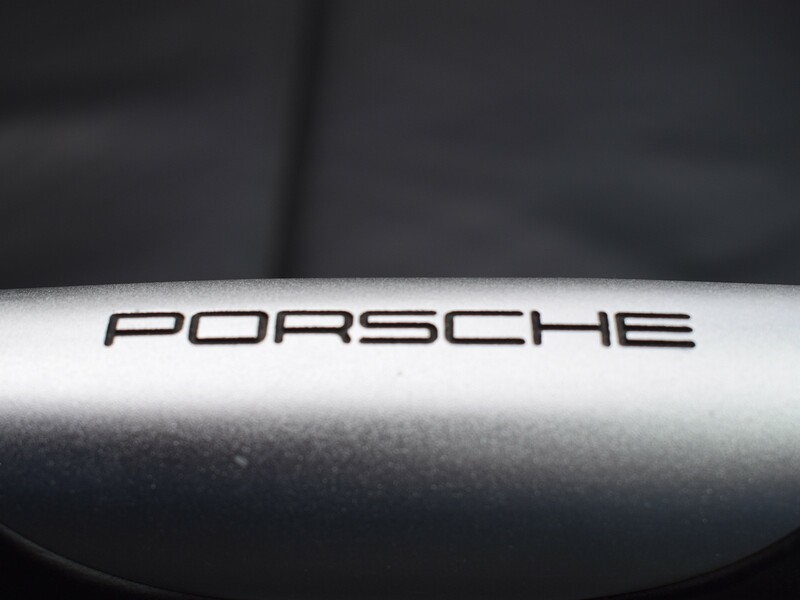 The car continued to be serviced and maintained at Mid Sussex Porsche right up until it’s very last service carried out in March 2019 by renowned specialists 911 Excellence. 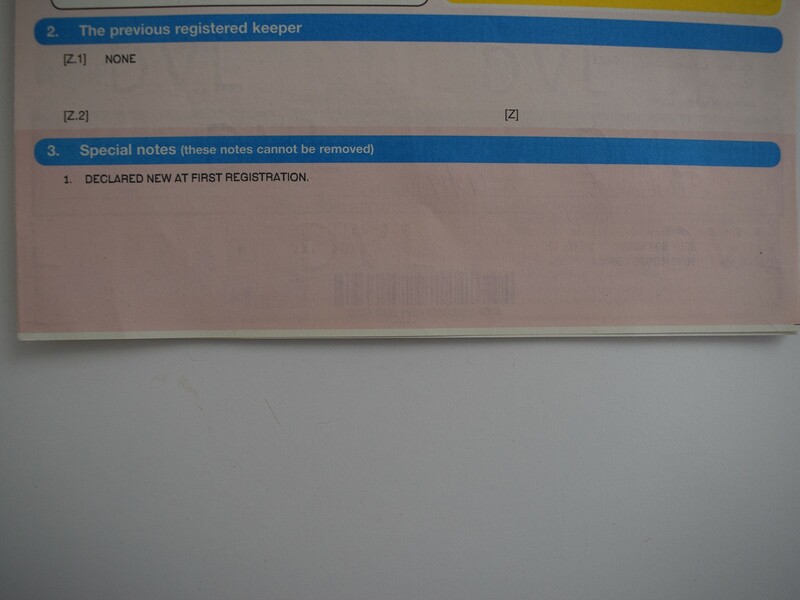 The car was always garaged and cherished by Mr. D and the condition is a credit to him. When approaching the car, the silver paint has a deep shine which complements the curves of the car beautifully. 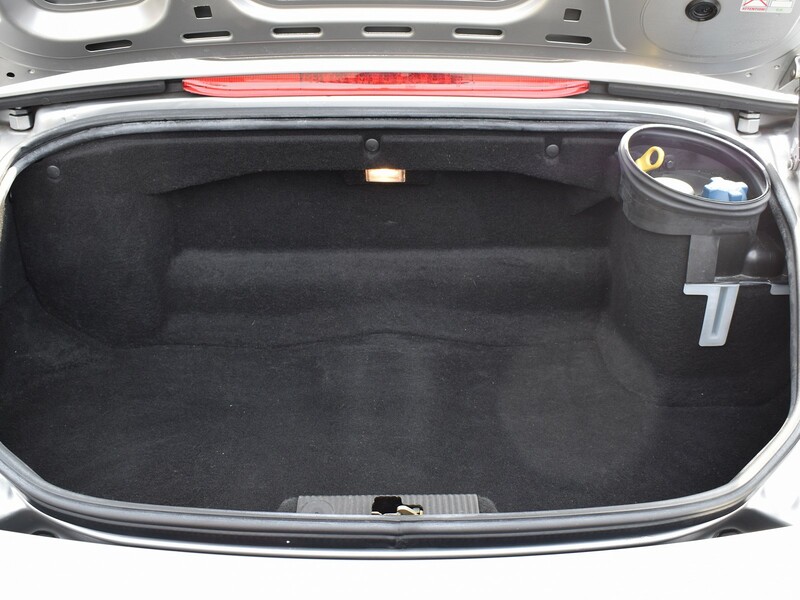 All panel gaps are correct and there are no dings or blemishes to be found on the flanks. 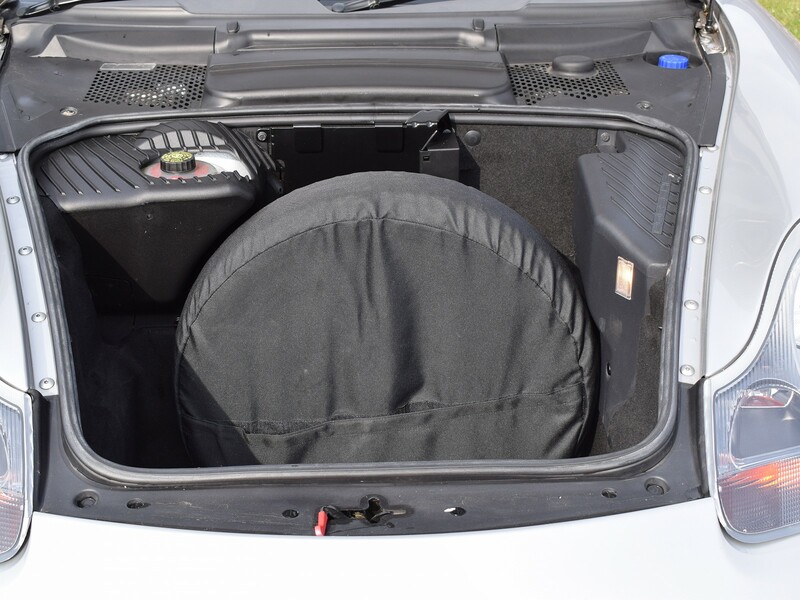 The 17” alloy wheels are in very good and original condition which is remarkable for a 15 year old car. They wear the correct N3 rated Michelin Pilot Sport tyres all round. 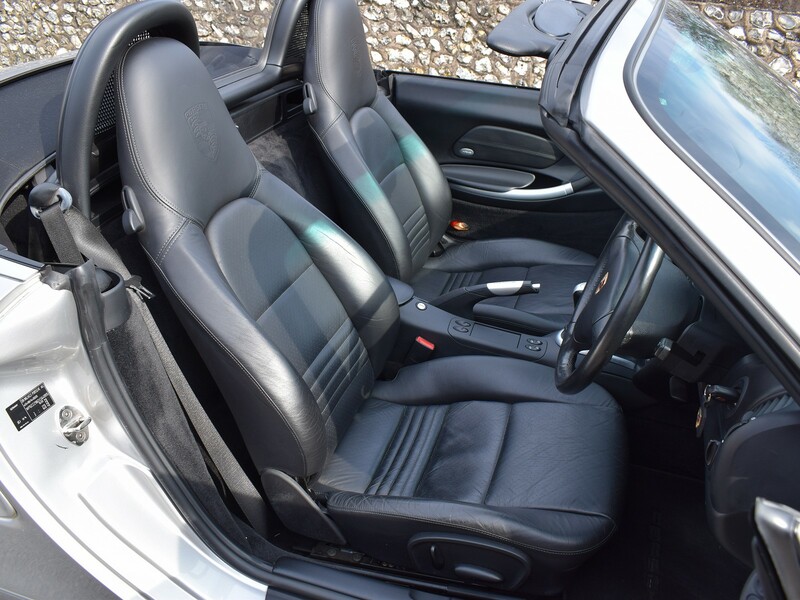 Climbing in to the car, you notice the excellent condition of the Porsche logo leather seats and the rest of the trim which can suffer a little in some Boxsters. Naturally, everything works correctly and all dashboard lights go out as expected. Once nice upgrade is the Porsche CDR23 stereo which gives a useful improvement over the standard fitment stereo. Turn the car on and your ears are greeted with the distinctive sound of the flat 6. Moving off, the clutch is light and bites well and the gears select smoothly. When on the move, the car feels exceptionally well screwed together and is an absolute delight to drive. As you start to press on, the flat 6 begins to howl through the intakes, providing strong thrust in any gear. 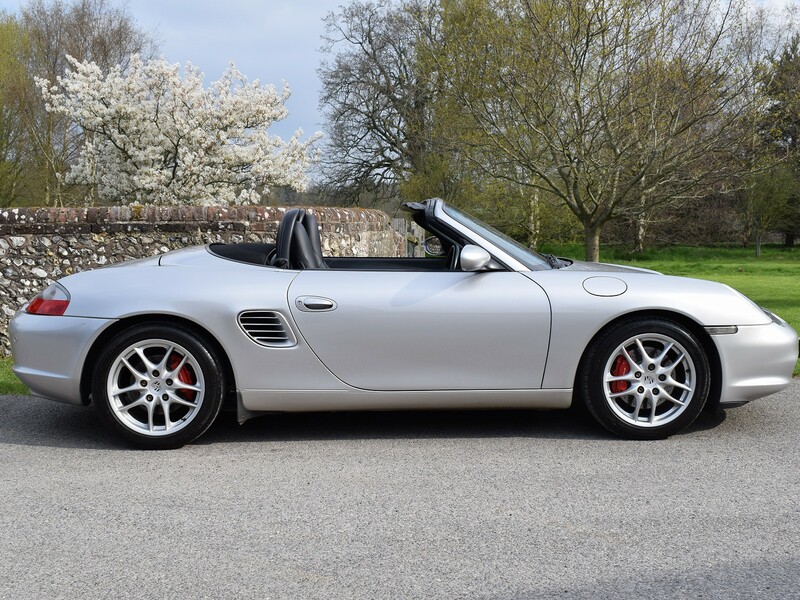 We have had a number of Boxsters, but this one seems particularly keen and sharp, no doubt due to the low mileage and excellent history. 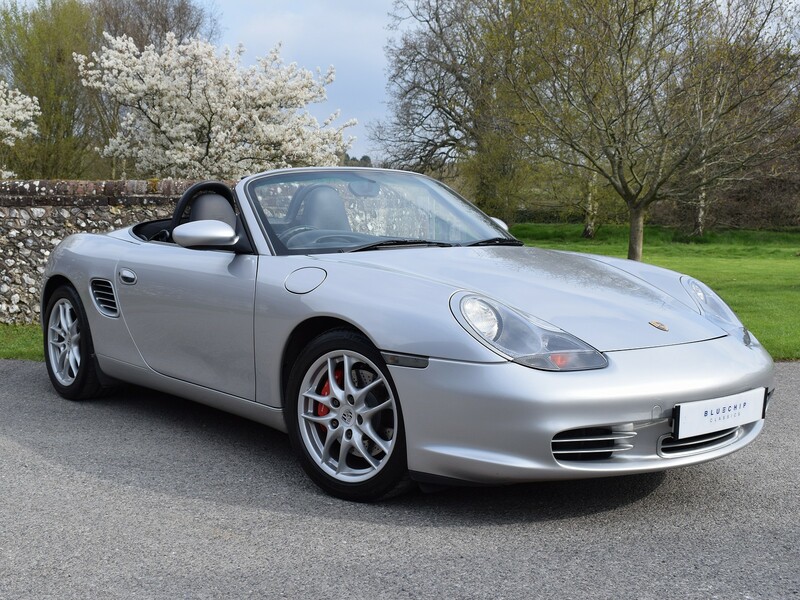 We believe that the 986 Boxster is really coming of age and the market is waking up to what a fantastic ownership proposition they are. 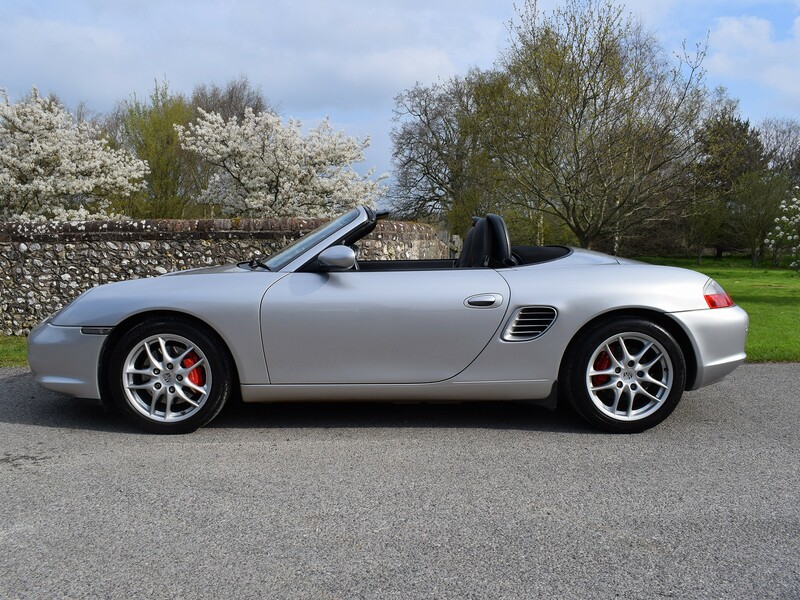 Fortunately, there are still many good ones to be had but this example really ticks all the boxes being a low mileage, single owner, manual ‘S’ which makes it a stand out car which anyone would be proud to own. For more details or to arrange a viewing, please do not hesitate to contact us.